To Life! To Life! L'Chaim! 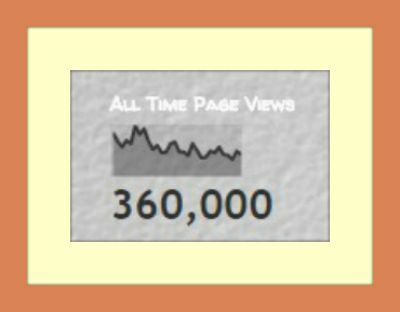 On August 27, 2015, at 4:44 pm New Mexico (Mountain) Time, this Abq Jew Blog achieved 360,000 All Time Page Views. on February 18, 2015 - about 6 months ago. Plus 3,390 Facebook Likes and 1,900 Twitter Followers. The Folk Process: No, Abq Jew is not going to actually (or virtually) dissect a horse. What is he, some kind of large animal veterinarian? !חס ושׁלום - nobody wants that. But for you loyal fans who have already read See Henry Run, Abq Jew is going to analyze Peter, Paul & Mary's Lifelines version of Stewball, to find out what keeps it together and what makes it tick. 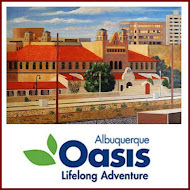 Among Abq Jew's dearly held beliefs is this: That of all the perfectly designed creatures the Holy One, Blessed Be He, created, there are three whose design is even more than perfect: the greyhound; the horse; and the giraffe. The greyhound and the horse, of course, are perfectly and elegantly designed - to run. 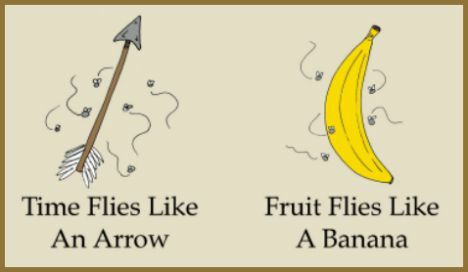 That is what they do, speedily, gracefully, seemingly effortlessly. And the giraffe? Perfectly designed to show us all that God, at least occasionally, has a sense of humor. The horse was foaled in 1741 and originally owned by Francis, 2nd Earl of Godolphin, and later sold. He won many races in England and was sent to Ireland. The Irish turf calendar states that he won six races worth £508 in 1752, when he was eleven years old, and was the top-earning runner of that year in Ireland. And now - about the songs. There are two major different versions of the sporting ballad, generally titled either "Skewball" or "Stewball"; the latter is more popular in America. 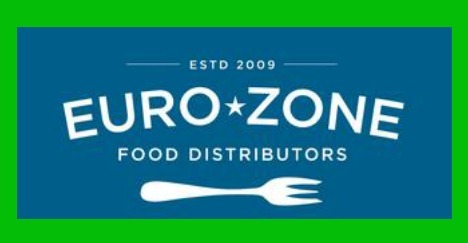 There are multiple variations within the two major divisions. Versions date at least as far back as the 18th century, appearing on numerous broadsides. In both songs the title horse is the underdog in the race, up against a favored grey mare (usually called either "Griselda" or "Molly"), and although in most versions of Stewball the winning horse triumphs due to the stumbling of the lead horse, Skewball wins simply by being the faster horse in the end. Probably the most significant lyrical difference in the songs is the conversation Skewball has with his jockey, while Stewball behaves more like a typical horse and does not speak. The oldest broadside identified with the ballad is dated 1784 and is held by the Harding Collection of the Bodleian Library of the University of Oxford. 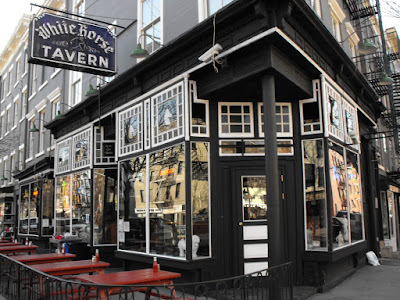 The song had spread to America by 1829 when it was published in a songbook in Hartford. 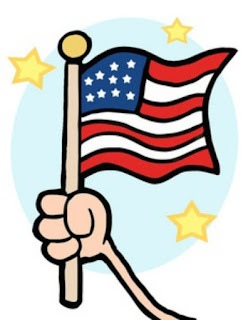 American versions were sung and adapted by slaves in the Southern United States, and have Stewball racing in California, Texas, and Kentucky. British and Irish versions, when the setting is mentioned, usually place the race in Kildare, Ireland, leading some to believe that the song is actually Irish in origin. The grey mare was owned by Sir Ralph Gore, whose family had gained a great deal of land in Ireland with the Protestant Cromwellian invasion (starting in 1650), which probably accounts for the delight in Skewball's win "breaking Sir Gore" in the final lines of this Irish-based broadside. A French song called Stewball (or also known as "Il s'appelait Stewball") was recorded by Hugues Aufray in 1966, becoming one of Aufray's biggest hits. However, this song (written by Hugues Aufray and Pierre Delanoë) is unlike the English-language songs of the same name, although the adaption was created after Aufray met Peter, Paul, and Mary, along with others such as Bob Dylan in a trip the United States. Aufray's version takes the perspective of a man recalling an experience as a ten-year-old boy. His father believes that Stewball will win a race, so he puts all his money and assets into this venture. Toward the end of the race, Stewball tragically falls. The veterinarian finishes him off with a single shot. This is the first time that the narrator witnesses his father cry. Aufray's song is very different in that it features Stewball not winning his race and dying due to an injury. 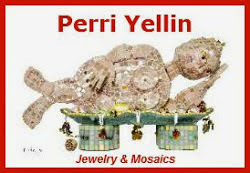 This version was also later translated into Czech language by Milan Dvořák becoming wide known by campfires. So much for background. Abq Jew now proceeds with the analysis. Let's start with The Weavers. A very good place to start - although it's not the very beginning of the Stewball song. 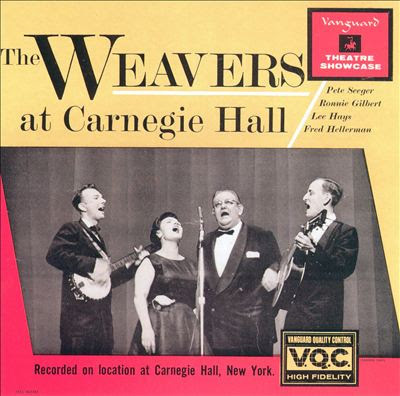 The Weavers based their version of Stewball on Leadbelly's slave song, and it is so different from any Peter, Paul & Mary version that is might as well be a different song altogether. With Pete Seeger's driving banjo, it is among the happiest slave songs that Abq Jew has ever heard. And of course, the main action is in the happy state of California. 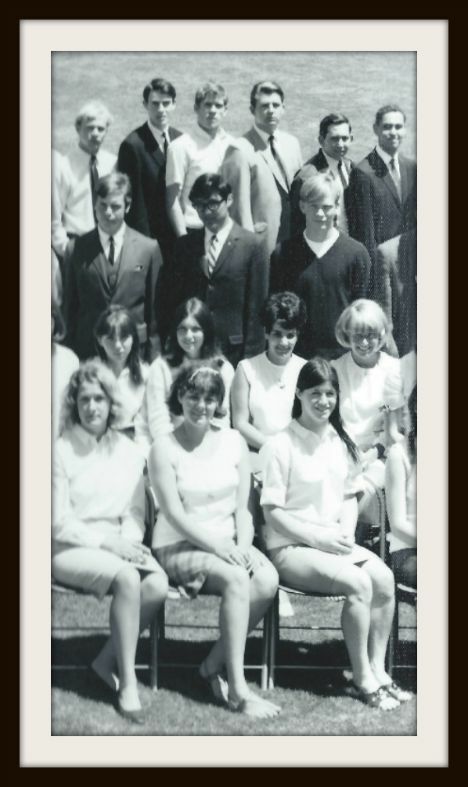 Then along came The Greenbriar Boys, the (OK, arguably) Best. Bluegrass. Band. Ever. At least, of those who got their start in New York City's Washington Square Park. 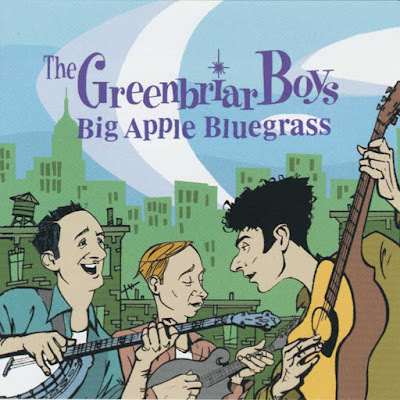 The Greenbriar Boys based their version of Stewball on Woody Guthrie's mournful song, and it is so different from any previous version that is might as well be a different song altogether. 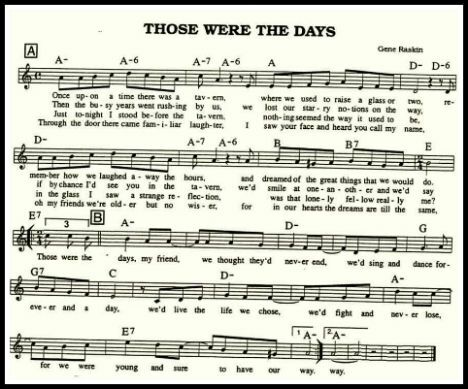 With John Herald's sorrowful voice and Ralph Rinzler's even more sorrowful mandolin, it is among the saddest victory songs that Abq Jew has ever heard. And of course, the main action is in the sad lands of ... England and Spain? Here are The Greenbriar Boys' (Woody had a few more) lyrics. Please pay attention; there will be a quiz. And the mane on his foretop was as fine as silk thread. And I never did lose, boys - I always did gain. And don't bet your money on that little grey mare. But you never will lose, boys, on my noble Stewball. 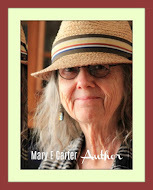 That grey mare she stumbled and fell on the ground. Came a-prancin ' and dancin' - my noble Stewball. 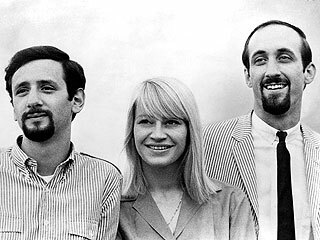 Then along came Peter, Paul & Mary, who very simply changed everything. PP&M also based their version of Stewball on Woody Guthrie's mournful song, but the lyrics are so different from any previous version that is might as well be a different song altogether. 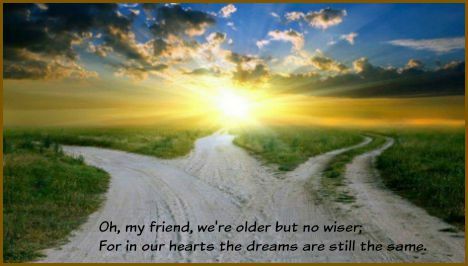 So here - from their well-rehearsed 1963 studio album In the Wind - are PP&M's lyrics. 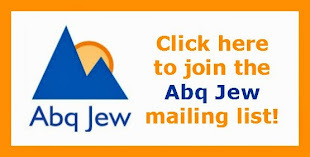 Has Abq Jew mentioned that there will be a quiz? Oh Stewball was a racehorse, and I wish he were mine. He never drank water, he always drank wine. His bridle was silver, his mane it was gold. And the worth of his saddle has never been told. Came a-prancin' and a-dancin' my noble Stewball. If I'd have bet on ol' Stewball, I'd be a free man today. Oh the hoot owl, she hollers, and the turtle dove moans. I'm a poor boy in trouble, I'm a long way from home. He never drank water,he always drank wine. What beautiful, meaningful words! But where, Abq Jew hears you ask, did PP&M get them? And 30 years later, how did the words change? So here - from their unrehearsed 1995 concert album Lifelines Live - are PP&M's lyrics. And here, below each verse, are Abq Jew's comments. There will be a quiz. Stewball was a good horse, and he wore a high head. PP&M do not include this verse. Abq Jew, talented horse trainer that he is, notes that horses with high heads (looking up, not looking down) are more likely to stumble and fall. Yet in the song, it is the grey mare who stumbles and falls. And remember the mane - it will come up again. PP&M do not include this verse, most likely because Stewball raced in Ireland, not England or Spain. The Mamas and the Papas sang Go Where You Wanna Go. PP&M do not include this verse. And BTW - how many horses were in this race? It depends on whom you ask, and when. Abq Jew also notes with alacrity the classic rhyming of are and mare. PP&M start the song with this wonderful verse that shows the beauty and soulfulness that only the highly imperfect subjunctive can bring. As for never drinking water - Abq Jew considers this highly unlikely. Always drinking wine? 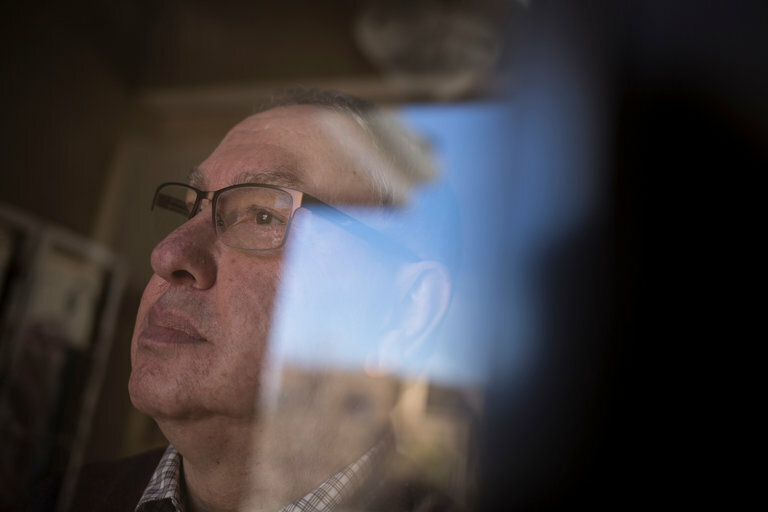 Abq Jew suggests he always drank wine when he got the chance. Remember the mane? Do you think it was really gold? Seriously? Let's see. The verse starts with the bridle and ends with the saddle. That thing in the middle, Abq Jew conjectures, should be one of Stewball's accoutrements, not one of his body parts. 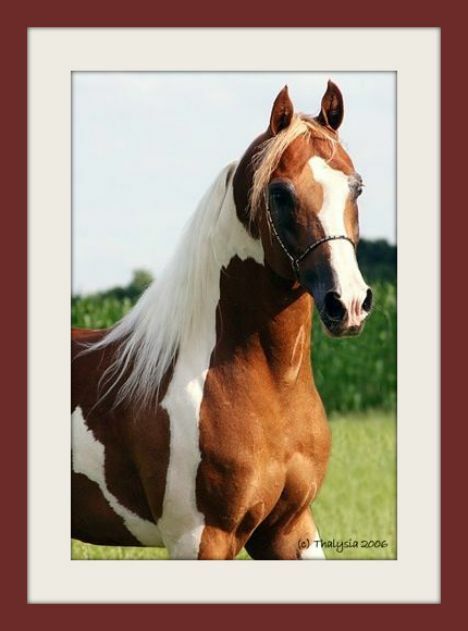 Something that horse people actually make out of gold. How about his stirrups were gold? That would work! But the betting was heavy on the grey and the mare. All Abq Jew can say is that, in PP&M's well-rehearsed 1963 studio album, the grey was a bay, and there were three (principal) horses in the race. Abq Jew is of the opinion that - this is what happens when you do things live. You sometimes make mistakes - but you keep going. The grey mare she stumbled and fell to the ground. Told 'ya. There was Stewball, and a bay, and the [old] grey mare. Who, Abq Jew is sure, ain't what she used to be. 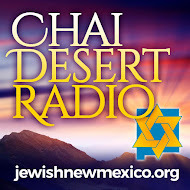 Abq Jew is of the opinion that - this is what happens when you do things live. You sometimes make mistakes - and sometimes the mistakes are most glorious. Here, Peter (for it is he leading the sing-along) repeats the verse we just sang. A horrible mistake - but the result only reinforces the power of Stewball's victory. 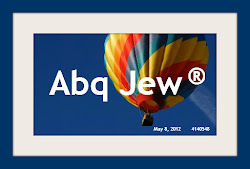 This magnificent mistake brings Abq Jew to tears. And as for prancin' and dancin' - let it be known that the phrase did not (apparently) originate with The Gentrys. If I'd have bet on my Stewball, I'd be a free man today. Again - we've got three (principal) horses in the race, although the fate of the bay (not the Dock of the Bay, Otis) is unclear. Abq Jew notes that if he'd bet on Stewball, he'd be a free man. Not a rich man - a free man. This suggests the Western European tradition of debtors prisons, ye olde equivalents of GoFundMe and Kickstarter. The hollering and moaning may have been just fine in 1963, but PP&M do not include this verse in 1995. A mistake? Perhaps - but it's another throwaway verse. Ending at the beginning - All My Life's a Circle. 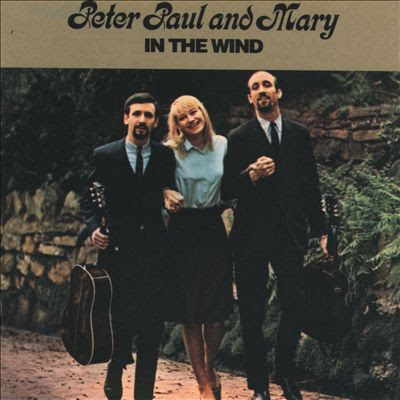 But where, Abq Jew hears you ask, did Peter, Paul and Mary get their beautiful, meaningful lyrics? Abq Jew does not know for sure. But he is of the strong opinion that Peter Yarrow wrote them. Not from scratch, of course. 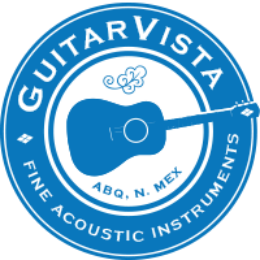 But by combining the historical record with existing verses from the many versions - and the ideas behind those verses - and then adding healthy helpings of folk wisdom and songwriting craft. Abq Jew believes that Peter Yarrow constructed a new song that sounded like an old song but that (you should forgive Abq Jew) made sense. And that, too, is part of the folk process. Simply changing everything to preserve the tradition. Keeping the music alive. And now the quiz, which consists of exactly one question. 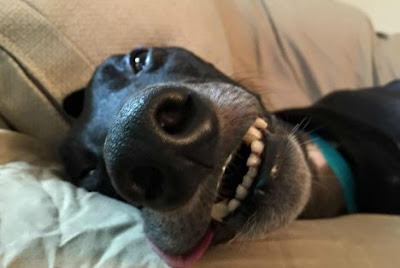 Love Black Greyhounds: Abq Jew would like to thank everyone who responded to his recent post, See Henry Run. Taking Henry to the Rainbow Bridge was hard, but your sympathy and support helped make the heartache bearable. 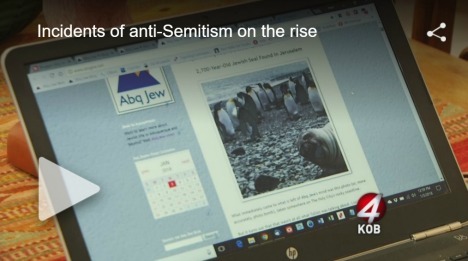 Here are some of the comments Mr & Mrs Abq Jew received from friends and family. Blessings! Henry was a strong and beautiful spirit. A gentleman at all times. Sending love! It is tough losing a member of the family. He was special. So sad to have lost my lover boy! My condolences on the loss of your boon companion. My his memory always be for a blessing. Ooooh so sad for you, we love them so much and it hurts when they have to leave us. I know you will miss him. May his memory forever be a blessing to you and your family. I also know the pain of the loss of an animal family member. I am sorry for your loss and glad for the joy you gave each other. My heart breaks for you. Our pets are our children forever. You gave each other a good life. Can't ask for better than that. I'm sure his memory is a blessing. A heart-breaking transition. My heart is broken for you and your family. Sorry for your significant loss. I remember meeting Henry when you first got him. He was one lucky dog to have been adopted by your family ... you gave him a good life. 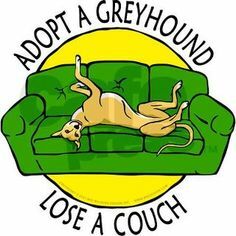 There is a Facebook group called Love Black Greyhounds - a public group, with more than 6,800 members, dedicated to you know what. 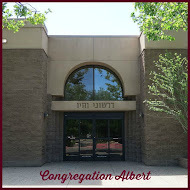 Abq Jew shared Henry's obituary with the group, who responded with 247 Likes and 148 comments. So sorry. Thinking of you and your sweet Henry today. He was beautiful! So sad. I'm sure he knew he was loved. So very sorry. Always so hard. Always in our hearts. Peace to you both. May his beauty live in your hearts forever. That is my greatest dream today. We will never truly be apart. My heart goes out to you. Its been 5 months since my black greyhound crossed over, and not a day goes by that I don't talk to her and thank her for coming into my life. Blessings and prayers to you and Henry. RIP Henry. Wait by the Bridge. Animal Planet's Dogs 101: Greyhound. BBC Earth Unplugged's Cheetah vs Greyhound, with some awesome super-slow-motion clips of a beautiful black greyhound running free. List 25's 25 Reasons Why Your Next Dog Should Be a Greyhound, "the Ferrari of the dog world," which you can also read here. 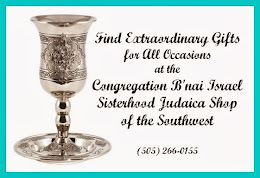 for the entire Abq Jewish community. And we get to display our own list of sins! In Bible times, Israelites atoned with sacrifices. 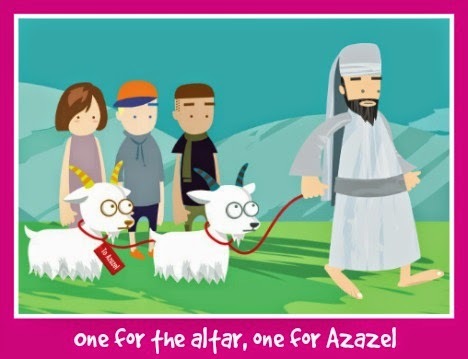 Once a year, on what we now call Yom Kippur, the High Priest placed all the Israelites' sins on a goat and set it loose in the wilderness. The High Priest took two goats. He sacrificed one - and then he laid his hands on the other, transferring the community's sins onto it. Then, he sent the scapegoat off into the wilderness. From the goat's perspective, neither path ended well. But that was then. Today, we reflect and try to clean our slates during Elul, the Hebrew month before Yom Kippur. 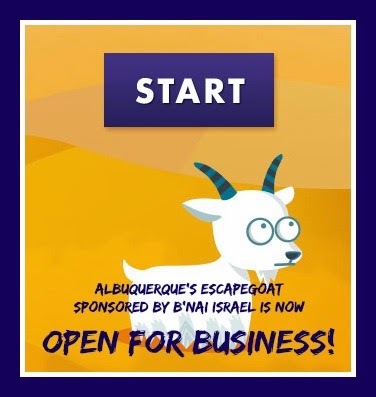 Yes, Elul is all about atonement, and as a fun way to engage, this year Congregation B'nai Israel is proudly providing its very own eScapegoat for the entire Albuquerque Jewish community. Instead of learning Talmud I watch Breaking Bad all day long. Thanks to my road rage, my 3 year old daughter has learned an impressive assortment of curse words. Check it out and add your own! Our eScapegoat is waiting for you to repent! Atone today! 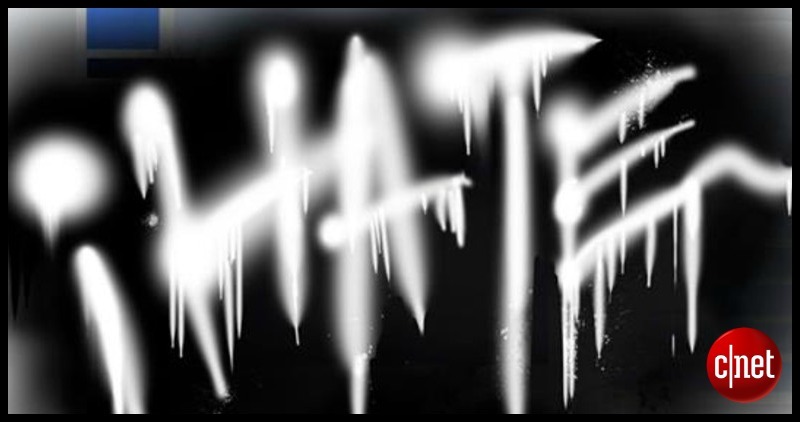 Atone next week! 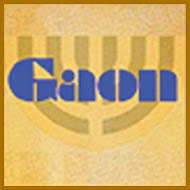 Atone anytime before Yom Kippur! With the B'nai Israel eScapegoat! 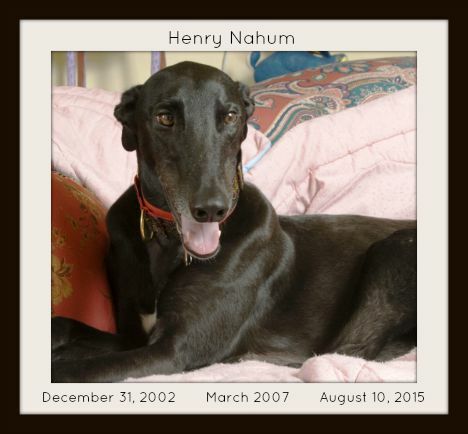 Forever: It is with great sorrow that Abq Jew confirms that his beloved greyhound Henry Nahum has passed over to the Rainbow Bridge. Our wonderful greyhound Henry, (12 1/2 years old), went to the Rainbow Bridge Monday after a prolonged battle with kidney failure and weakness in his hind legs due to neurological injuries sustained as a racer. He was a fine, handsome, brave, smart and loving dog. He was super gentle with children, babies and puppies, and took our younger greyhound Belle under his wing with patience and love. He was always willing to teach Belle by example and protect her. Henry only wanted to be with us and managed to follow us around as ill and weak as he was. We will miss him every day. Although Henry wasn’t our first dog, and wouldn’t be our last, he stood out in his humanity. He seemed to understand every word out of our mouths, from simple exclamations to complex commands. When we spoke, he listened attentively. Not with the quintessential head-tilt that might have indicated he was confused, but with eyes that were intense and focused. Greyhounds are known to have one of the largest hearts among dog breeds, but his eyes told the real story. Vibrantly brown and expressive, Henry could grin, snark, grimace, or pout with a single look. When I was a teenager, Henry bit every member of my immediate family, on occasion. And on a break from college, in the midst of a full on sob-session after subjecting myself to the 90-minute misery that is Marley and Me, Henry bit me when I stumbled blindly over for comfort, and jolted him from his sleep. We never held it against him. For every half-asleep attack, there were a thousand moments of fully-conscious affection. He loved us far more than he feared us, and years later, he wouldn’t fear us at all. When we lost our first dog, it was Henry’s quiet devotion that made it bearable. In our years with him, he stood pressed into our sides for every profound loss, and every moment of joy. Henry Nahum (track name: Kelsos Darkvader) did most of his racing at the Raynham-Taunton Greyhound Park in Massachusetts. He ran both 550 yard (5/16 mile) and 660 yard (3/8 mile) races, winning about one quarter of them. Henry could run 660 yards in a bit under 38 seconds - which is around 36 miles per hour. (He was much faster on the straightaways, but sometimes slowed down for the turns.) You could look it up. 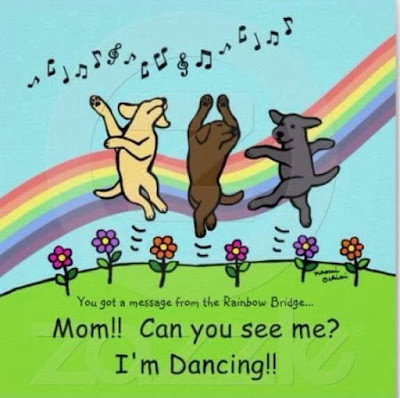 Henry has joined our beloved first greyhound Samson Tigerdog (track name: Forbes Magneteer) at the Rainbow Bridge, where, Mr & Mrs Abq Jew are sure, they are running free and playing together. 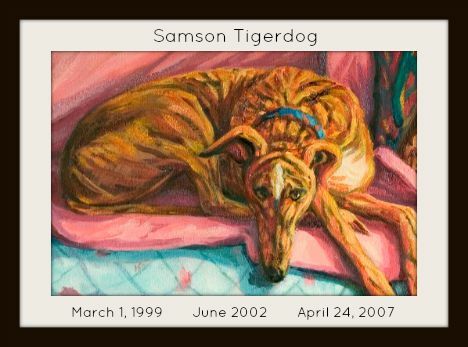 In tribute to Henry (and Sammy, and all other racing and ex-racing greyhounds), Abq Jew can do no better than the old folk song about the racehorse Stewball. The horse was foaled in 1741 and originally owned by Francis, 2nd Earl of Godolphin, and later sold. His name has been recorded as "Squball", "Sku-ball", or "Stewball". He won many races in England and was sent to Ireland. The Irish turf calendar states that he won six races worth £508 in 1752, when he was eleven years old, and was the top-earning runner of that year in Ireland. His most famous race took place on the plains of Kildare, Ireland, which is generally the subject of the song of the same name. The early ballad about the event has Skewball belonging to an Arthur Marvell or Mervin. 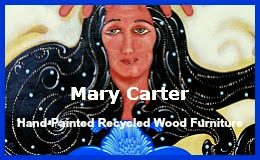 Versions of the song were recorded by Woody Guthrie, Leadbelly, The Weavers, Joan Baez, Dan Fogelberg, and many others. 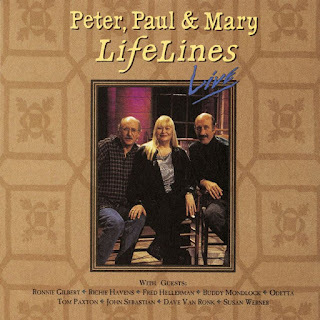 The Greenbriar Boys took Woody's lyrics and wrote a new tune, which is the tune used by Peter, Paul and Mary on their 1963 album In the Wind and on their 1995 album Lifelines Live (with several new or transplanted verses). And yes, it's also the tune John Lennon used for his Happy Xmas (War Is Over). will always bring back memories of Henry. Henry, too, never drank water. 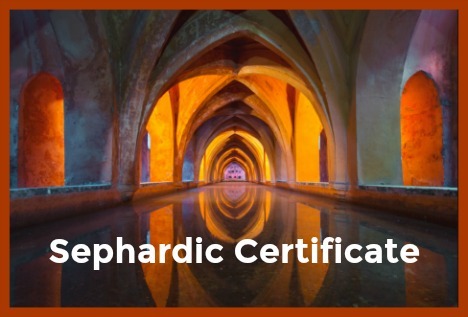 He slurped it; he guzzled it; he bathed in it; he stuck his whole head in it. He practically dived into the bowl. Most of the water splashed on the floor. If enough water went down his throat to satisfy his thirst, that was fine. And if not - another dive. As for drinking wine - no, Henry never did. But he always showed up for Shabbat Kiddush and fresh challah. And he lived a rich life, filled with places he found interesting and people he found fascinating. Oh Henry was a greyhound - and I'm glad he was mine.